This pre-owned Gents Rolex Datejust with stainless steel casing and black diamond dot dial, comes complete with box and papers. 2015 model, with stainless steel Oyster bracelet. Classic and timeless design, the Rolex Datejust is one of the most iconic and recognisable designs in the world. In excellent condition. 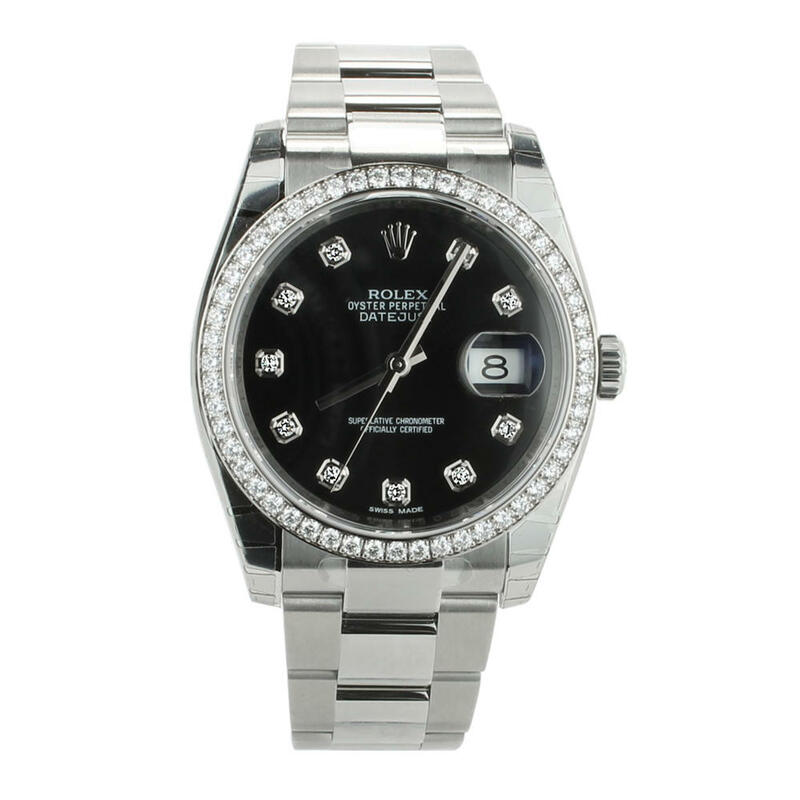 This Rolex Datejust 116244 watch comes with box, papers and warranty.